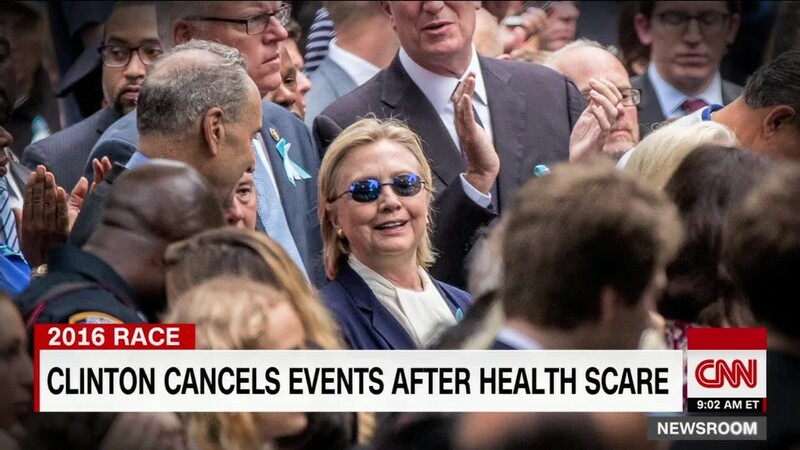 A fainting episode caught on camera has made Hillary Clinton's health a top story. But to the Democratic nominee's biggest boosters, the news coverage has amounted to media malpractice. After she left a 9/11 anniversary ceremony early on Sunday, Clinton was filmed appearing wobbly as she tried to enter a vehicle. Her campaign eventually attributed the episode to the candidate's bout with pneumonia, which she had diagnosed on Friday. For conservatives who have spent weeks peddling conspiracy theories regarding Clinton's health, the moment brought a sense of vindication. For the less conspiratorial Clinton critics, the delay in revealing the pneumonia diagnosis served as yet another example of a campaign that is allergic to transparency. Clinton's defenders, however, had a different interpretation. "I, for one, am grateful that the only person standing b/t us and a dangerous racist is so dedicated she stayed on the job despite pneumonia," tweeted Ian Millhiser, an editor at the liberal site ThinkProgress. Former Michigan Gov. Jennifer Granholm, a Clinton surrogate, echoed that sentiment. 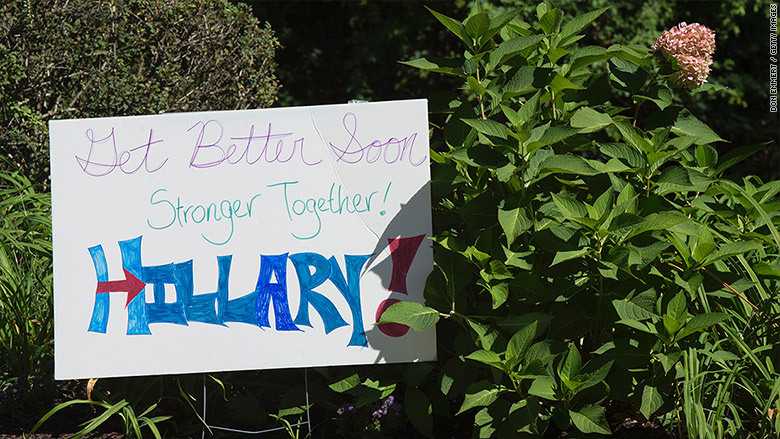 "To press lamenting @HillaryClinton's health/transparency: 'powering through' illness is what women do: Stoically, every. single. day," Granholm tweeted. Peter Daou, an adviser on Clinton's 2008 presidential campaign, bemoaned "an ugly feeding frenzy" that "capped weeks of increasingly shrill conspiracy-mongering about her health." If anything, Daou said, Clinton had debunked the conspiracy theories. "After being diagnosed with pneumonia on Friday, Hillary Clinton ran a two-hour national security meeting, gave a press conference, and spent an hour and a half in the heat at a September 11 commemoration ceremony," Daou wrote for Shareblue.com. "It was an impressive feat of physical strength that obliterated months of health conspiracies." Before Sunday, questions surrounding Clinton's well-being had been largely confined to the right-wing fringes. But with much of the press now giving real scrutiny to Clinton's health for the first time, the current news cycle has been instructive when it comes to understanding the former secretary of state's relationship with the media. Clinton's camp often complains, sometimes justifiably, that she is subject to harsher treatment from the media than most other politicians. But it is also true that she boasts an army of loyalists who check what they deem unfair coverage. Chief among that cohort is the liberal, pro-Clinton press watchdog Media Matters for America. On Sunday, Media Matters called out the likes of NBC, the Washington Post, the New York Times and CNN for using "news of Clinton's overheating to give the conspiracy theories more oxygen." Eric Boehlert, a senior fellow at Media Matters, accused the press of ignoring more serious matters pertaining to Clinton's opponent, Donald Trump. Trump, Boehlert pointed out repeatedly on Monday, has yet to release his tax returns or the results of his physical. "[M]eanwhile, she's the one who gets hit for 'secrecy,'" Boehlert tweeted Monday. "[I]t's bonkers." In truth, neither Clinton nor Trump have been all that transparent on their health condition. The two candidates have combined to release just a handful of paragraphs of doctors' statements -- far below the standard set eight years ago by John McCain, who would have been the oldest person to assume the presidency had he been elected. That could change soon, however. Trump said Monday that he will release the results of his physical from last week "when the numbers come in," while a Clinton spokesman said the campaign will release additional medical information this week.